Bio: The band was formed in 1995 with the idea of creating a kind of music that might have a different and original impact. In 1997 the band released its first demo “De Terrificationibus Nocturnis” and had the opportunity to play live with the band Evol. In 1998 the guys recorded a mini-CD titled “The Beginning” and promoted it across many clubs in Italy. In 1999 there was a change of line-up, and in 2000 the band released the self-produced album “Tristesse Et Autres Drogues”. This album was entirely played and recorded by the former member Black, except for the guitar sessions, which were played by his friend Rob, who appeared on the album as special guest. In 2002 the band joined the underground compilation called “Tributum Morti” with four tracks. This participation confirmed the presence of Black on all instruments and Rob on the guitar as official member. After that, two other members joined the band: Whisper on keyboards and Maelstrom on drums, and with this line-up the band began to perform live as supporting act to “Tributum Morti”. In 2004 the band decided to re-record the first demo and remaster the second in order to release them in a full-CD entitled “Trinity”. Once released, the band started to promote it live. 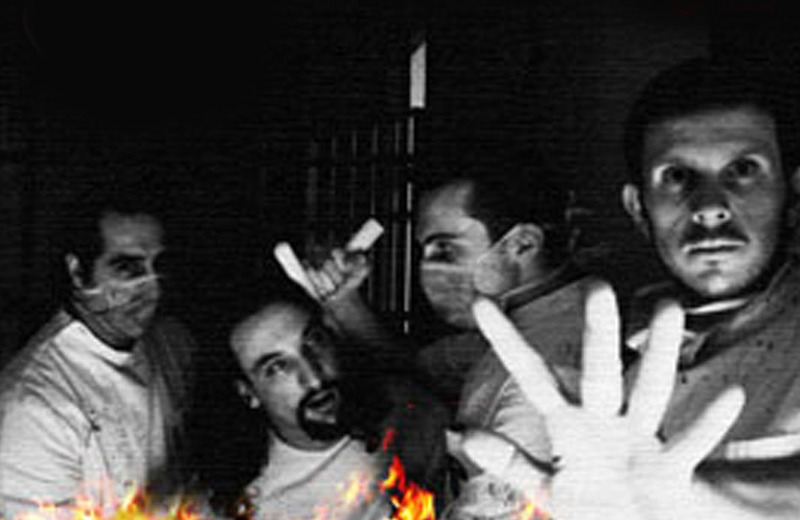 In 2006, Maelstrom left the bands departure and the band entered the studio again to record “Flames Everywhere”. The bass guitarist Void joined the band in 2007, and thus the band became a four-piece. 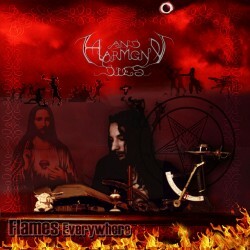 Now And Harmony Dies is ready to release “Flames Everywhere” for “My Kingdom Music” in Sept. 2007. The album is a journey through a story, thus, it has to be seen as a kind of internal trip. Each song tries to represent in the best way the single episodes of the story narrated by the lyrics so you can hear a wide range of moods painted in music by different musical aspects (soft parts, heavy breaks, frightening moments, multiple vocals). And Harmony Dies take you in an astonishing and hellish world represented by the Eclectic and Avantgardish universe of “Flames Everywhere”.